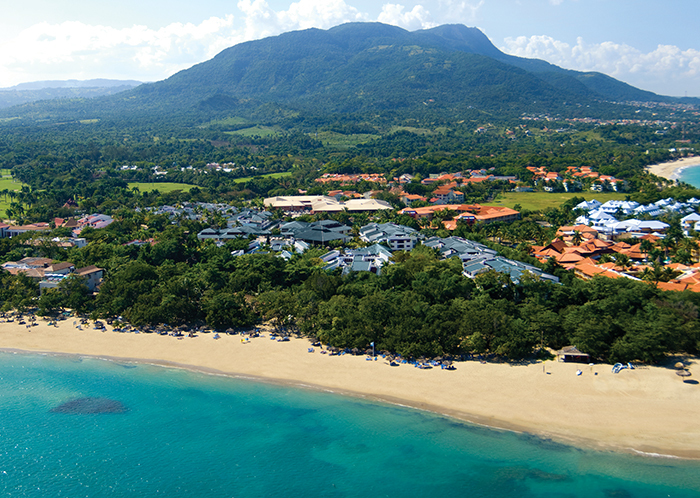 Sunscape Puerto Plata is a new family-friendly, all-inclusive resort on the northern coast of the Dominican Republic. The resort features spacious guest rooms with patios or balconies, a variety of dining options including a pizza shop and an adults-only Asian restaurant, live music, and plenty of water sports along the resort’s beautiful beach. There’s also a spa, golf course, indoor theater and pool with swim-up bar. Kids enjoy their own check-in experience, complete with a red carpet. There’s also a club for kids through age 12, and a teen club. Fly into Gregorio Luperón International Airport (also known as Puerto Plata Airport), Dominican Republic (POP). The resort is about 20 minutes from the airport. Visit Sunscape Puerto Plata’s website for more information.